Undertale provided me with many hours of laughter, happiness, and warm, fuzzy feelings, all the while surprising me with some truly sad and shocking moments out of the blue. It's the kind of game that I'll want to replay many times in order to see how all of the various choices play out, and I'm sure I will remember it fondly for years to come. I hope everyone else can find as much joy from playing Undertale as I have! Whether it’s the nameless NPCs you always meet in RPGs or the hundreds of mooks you mow down with gunfire in games like Uncharted, Undertale brilliantly demystifies these conventions and questions why games are still codified this way. But even outside of its ambitious themes, it proves to be a compact, perfectly paced RPG experience with hilarious, tense writing and endearing charaters. Undertale took me about six hours to complete my first playthrough, but every one of those hours is special, and I immediately dove back in to explore some of the additional content. Undertale may not be the prettiest game at the ball, but it is a fantastic, unique take on a classic genre that defies all expectations. Despite having beaten it, it’s exciting to know that there’s so much more than simply what I’ve seen. The complexities woven deeply into this initially unassuming RPG are enough to keep you invested long after you’ve watched the end credits for the first time. 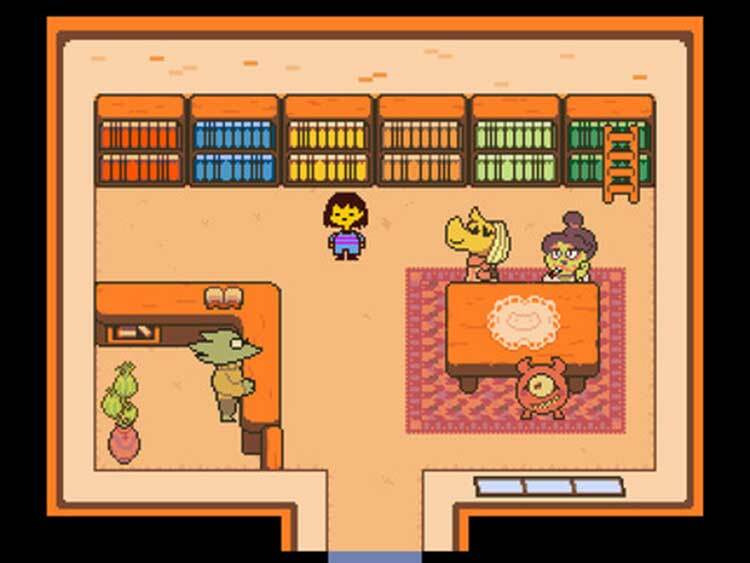 It’s been a long, long time since this style of RPG has grabbed me as Undertale has, and even longer since a small independent effort has been so ambitious, impressive, and unquestionably successful. 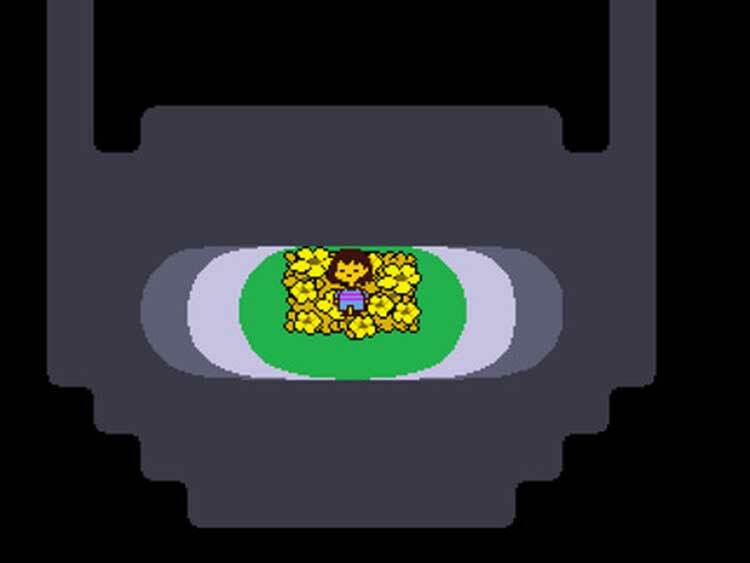 Regardless of its indie status, Undertale is one of the best and most inspired RPGs in years. 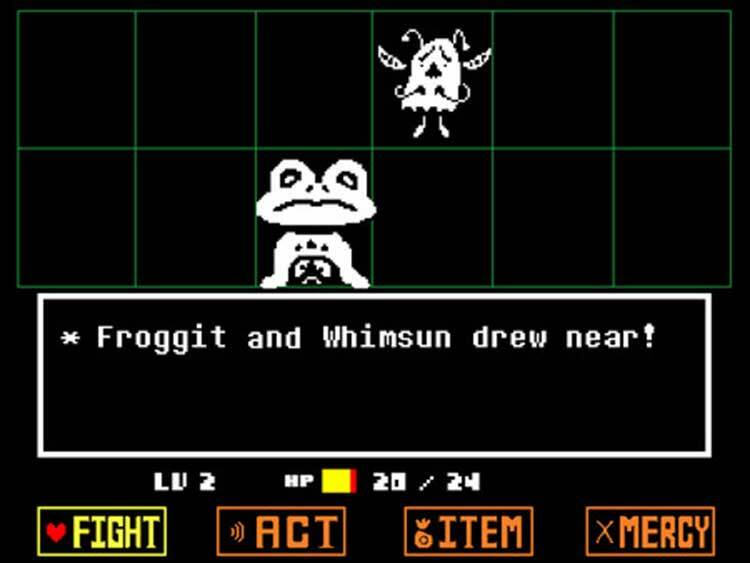 By playing with traditional, turn-based mechanics, creator Toby Fox has crafted an experience with a legitimate surprise around every corner. If you have a PC and ten bucks, you owe it to yourself to play this amazing game. There have been some that have come close, but in the end, I could always think of some notable flaw or a way the game could’ve been more enjoyable. In the case of Undertale, I can’t think of one particular flaw or a way it could’ve been made more enjoyable. As is, it is as perfect as anything could be in this imperfect world of ours. It's hard to express just how much I adore Undertale without spoiling anything significant, but that's what I love about it. It tells its story in such a dynamic way, and with such a great understanding of the RPG player’s mindset, that it couldn’t have been told in any other way. It's a masterfully crafted experience that I won't forget any time soon. Undertale feels less like passively watching a sitcom and more like bullshitting with old friends, and this gives the game the disarming effect that smart comedies often have. Because Undertale made me laugh, I was able to trust it when it wanted to shift in tone to address trends in contemporary game design and culture. The result is a game that has both an anime loving dinosaur doctor and the resonant message that we can love games (and lots of other things) without feeling the need to wring every last ounce of content from them. Undertale is a magnificent experience that I wouldn't hesitate to call one of my favorite, if not my absolute favorite, RPG of all time. But more than that, it's an important game to play because it makes you think about your relationship with videogames, your own morality, and the world around you. None of this was accomplished with next gen technology. 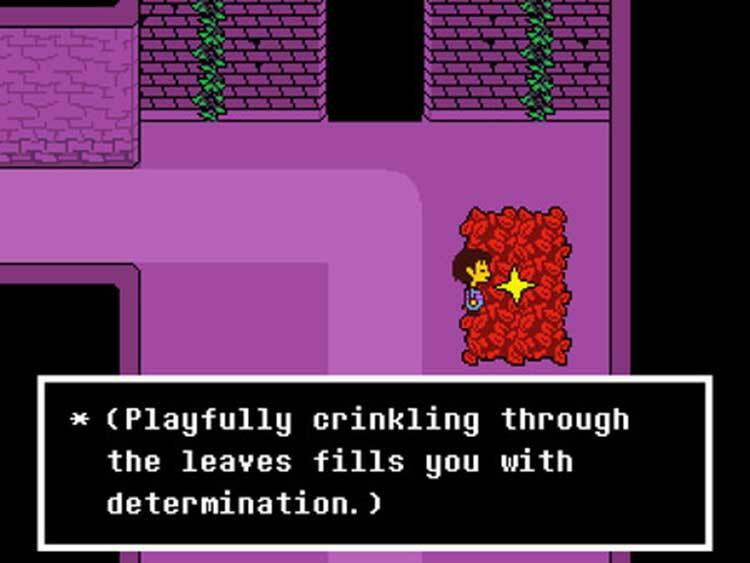 Undertale does a lot within its simple framework. It's a classic fantasy RPG that somehow still manages to make fun of modern society and social media. The whole thing's realised in simple 16-bit graphics, but it still manages to convey more depth than many lavishly created blockbuster productions. More than that, it's a unique tale that's built around humour, caring and lovely music, and it's an easy recommendation to make. With multiple endings based on how you choose to play out your run, set pieces that can play out very differently based on your actions and so many incredible moments that we’d love to share but daren’t do so for risk of spoiling anything, Undertale is easily one of the indie standouts of last year. Leave your expectations at the door and try talking your way out of trouble for a change – you might find you prefer it to fighting in the end. It’s charming, funny, clever, and thought-provoking. It’s a video game in love with the limitations and traditions of the medium but just as willing to abandon and subvert them to ensure you, the player, is entertained and surprised. It's very short. 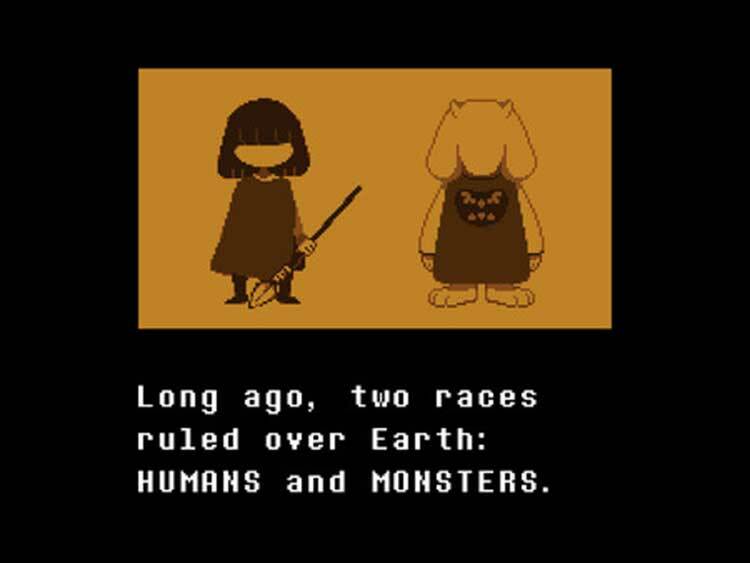 Even getting all the main endings can be done in under 20 hours, but aside from that, Undertale is a tour de force to be reckoned with. It's filled with heart, humour, and raw emotion, while never forgetting that it's a game. Its gameplay is just as strong as its stellar writing. Undertale is a crowning achievement in RPGs and games in general. Recuerdo que, justo al final del viaje, tuvo lugar un momento irrepetible: al pulsar las teclas, esperanzas y sueños se materializaban en pantalla al ritmo de una maravillosa banda sonora, dando lugar a un sentimiento único: emoción, euforia... DETERMINACIÓN. Y recuerdo con total claridad que, en ese preciso instante, me di cuenta de que ese es el verdadero motivo por el que juego desde que tengo uso de razón: para sentir que puedo hacer cualquier cosa. Undertale es el mejor RPG indie que he jugado en mucho tiempo. Una mezcla original y poderosa de nuevas mecánicas y modos de interacción le otorgan un gran interés, mientras un guión excelente y un pacing narrativo que no decae un solo segundo hasta la devastadora conclusión garantizan que el jugador no deje la aventura hasta terminarla. Undertale hace impecable lo que contados videojuegos logran: amalgamar sin error mecánicas de juego sólidas y divertidas, una historia profunda tanto a gran escala como en cada microentorno, y un universo consistente y congruente consigo mismo. Ninguno de estos tres elementos tendría sentido por separado, y juntos hacen uno de los videojuegos más extraordinarios que hemos visto en los últimos años. Por si a alguien todavía le quedan dudas: Undertale es una obra maestra. Su extraña propuesta tan diferente como fuera de lo común, su peculiar apartado gráfico y su falta de traducción quizás no lo hagan un juego apto para todo el mundo, pero os podemos asegurar de que se trata de uno de los mejores títulos de este año. Von den sympathisch schrägen Charakteren über die herzerweichend albernen Dialoge bis hin zu all den skurrilen Situationen und Konflikten, könnten sich so viele große Titel eine dicke Scheibe abschneiden. Man wird immer wieder überrascht, zum Lachen und zum Nachdenken gebracht. Man experimentiert, sinniert oder lehnt sich einfach zurück, um dem ungemein stimmungsvollen Soundtrack zu lauschen. UnderTale laisse parfois indifférent, confortant ainsi les réfractaires anglophobes dans leur non-enthousiasme à l'égard du jeu. Et pourtant, ce dernier mérite amplement l'attention des joueurs, lesquels y découvriront peu à peu un univers riche, finement élaboré, accueillant, embelli par une panoplie de personnages franchement drôles et intéressants. Pas sûr que tout le monde puisse y accrocher dès les premières minutes. Mais une fois absorbé par son univers très particulier et porté par son écriture parfaite ainsi que son gameplay qui parvient à ne jamais tomber dans la répétitivité la plus stricte, on ne peut que féliciter son créateur. On l'imagine comme un simple hommage. Il s'affirme comme une expérience des plus modernes et qui enrichit le joueur autant que le genre du RPG. La qualité d’écriture des personnages, tout comme la bande son qui accompagne chaque instant de l’aventure, resteront gravées dans la mémoire collective comme autant d’éléments d’un grand jeu. Fidèle à son propre crédo, Toby Fox prouve qu’avec suffisamment de détermination et cinquante mille dollars, on peut égaler les plus grands. 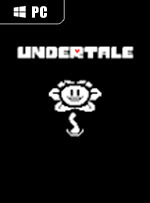 Undertale tuttavia non è perfetto e qualcuno potrebbe puntare il dito sulle reali possibilità di scelta del giocatore, eppure quando vi renderete conto che avrete lasciato indietro molto più di quanto pensiate, capirete quanto di buono c'è in questo sorprendente titolo. Undertale è un gioco che stupisce. 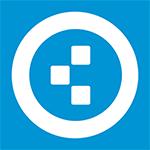 Lo si inizia incuriositi dalla possibilità di combattere o risparmiare i nemici, ma si finisce per apprezzarlo grazie alle sue sottigliezze comiche e situazioni assurde. Riesce a coinvolgere perfettamente grazie anche a una serie di cose non dette che il giocatore deve necessariamente scoprire da solo. Undertale è un piccolo gioiello grezzo. È un gioco a tesi, in cui la base di partenza è un punto di vista preciso e manifesto. È il racconto della fatica del dialogo, del maggiore impegno che richiede rispetto all'uso della violenza, quest'ultima la soluzione più veloce per risolvere ogni situazione. Undertale är inte helt lätt att sätta fingret på. Det är ett klassiskt fantasyrollspel som berör saker som sociala medier och helikopterföräldrar. Det är tecknat med enkel 16 bits-grafik, men har ett äkta djup storproduktioner med namnkunniga röstskådespelare aldrig kan mäta sig med. Framför allt finns det en unik historia, som är laddad med humor, engagemang och härlig musik. Lite som spelet jag en gång ville göra - bara mycket, mycket bättre.